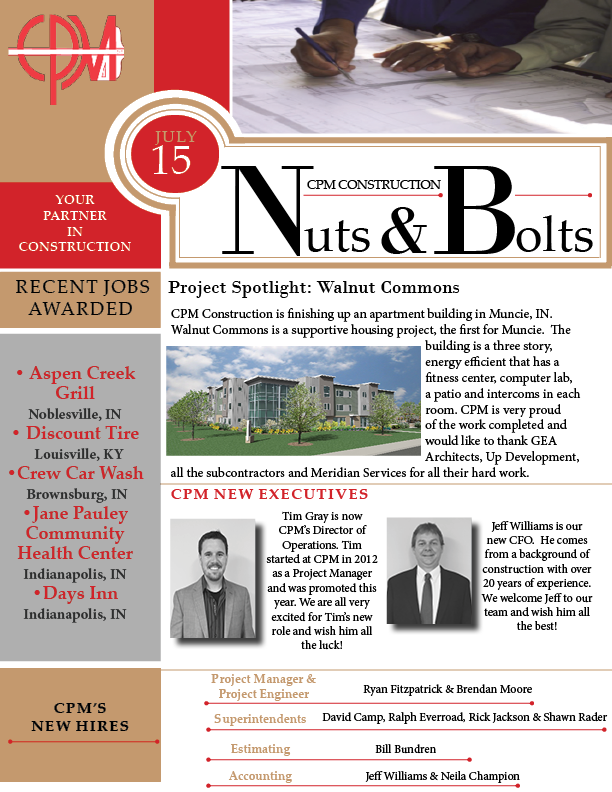 Check out CPM’s Chronicle for February! 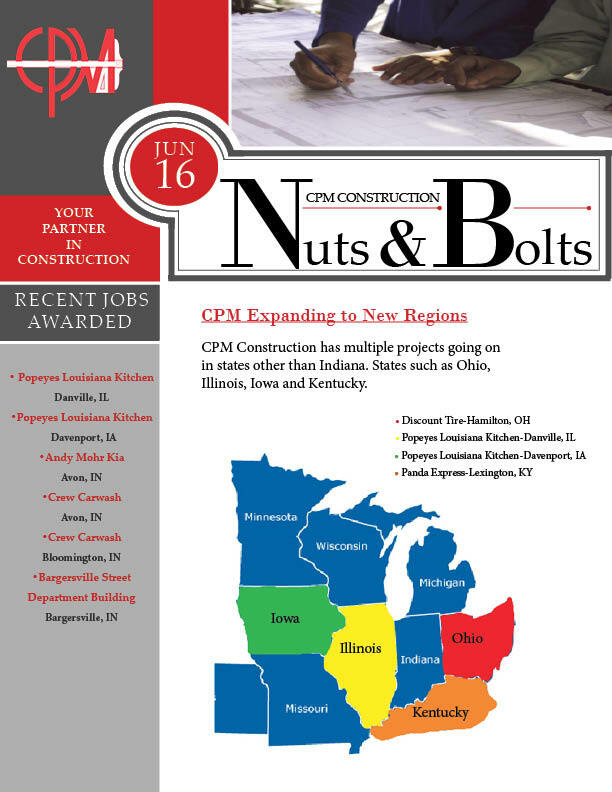 Check out our 2017 4th Quarter Nuts and Bolts for all the latest news at CPM Construction! 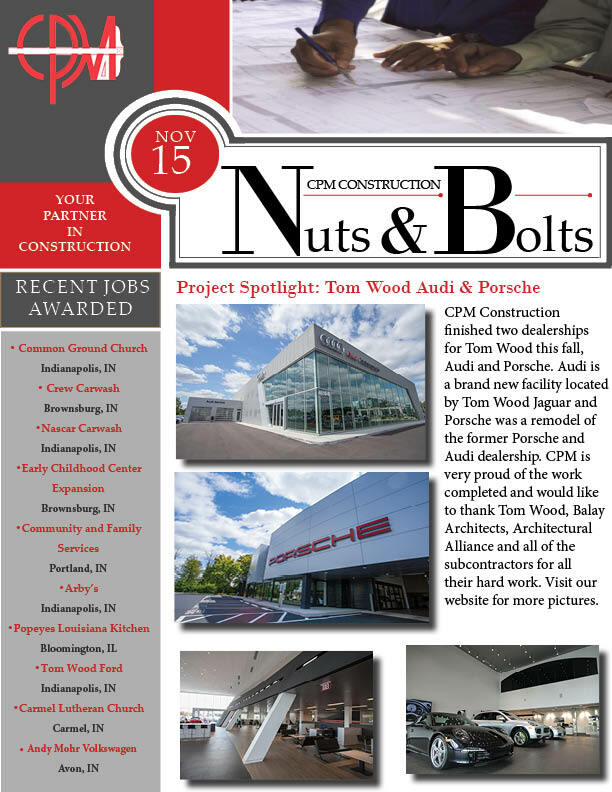 Check out this Quarter’s Edition of CPM’s Nuts and Bolts! 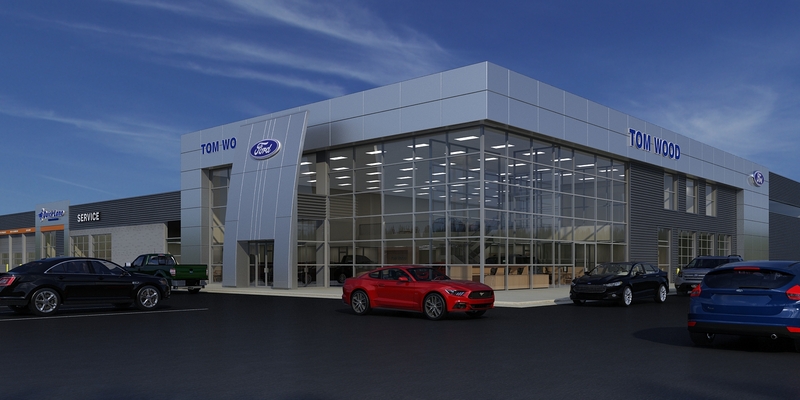 Want to see live footage of construction going on at Tom Wood Ford? Visit the link below to check it out! 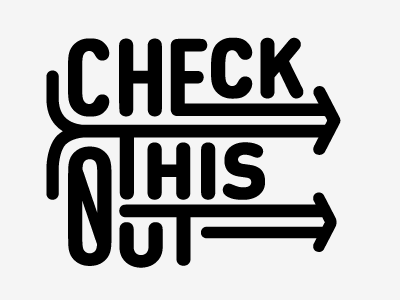 Click on the link to view the 1st Quarter’s Newsletter!!! If you wish to be included in database please email info@cpmconstruction.com to be added! 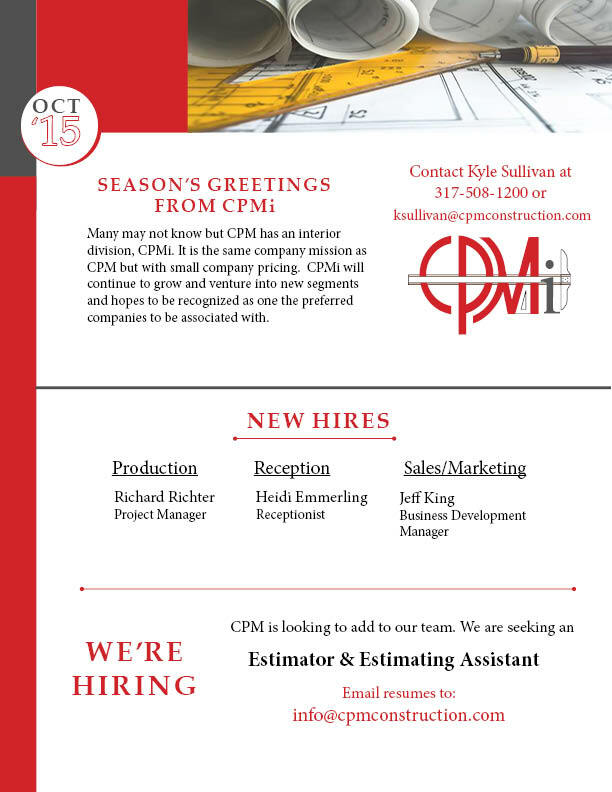 If you would like to be considered please send resumes to info@cpmconstruction.com today! Check out this Quarter’s Newsletter! Our Director of Business Development, Jake Williams, was recently interviewed by Associated Builders and Contractors (ABC) for their Young Professionals issue. Jake along with two other candidates discussed their leadership roles and how they have advanced in their careers at such young ages. Click on the link for a look at the whole article. 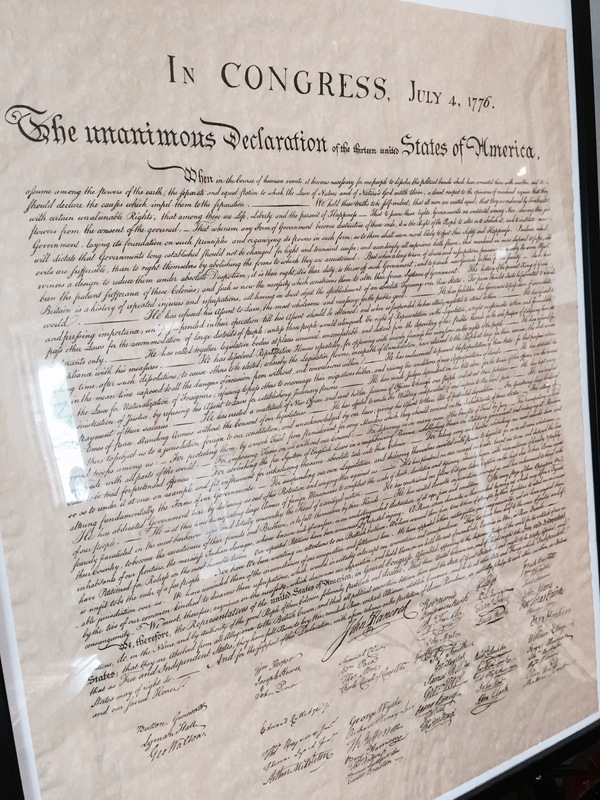 In honor of 4th of July our Director of Business Development wanted to share something he got in Washington DC! 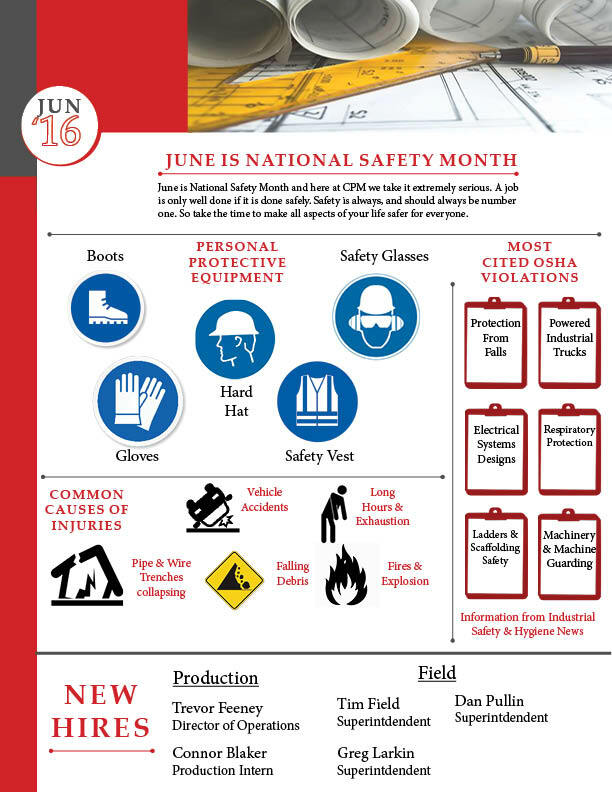 Have a fun and safe 4th of July from your friends at CPM Construction! 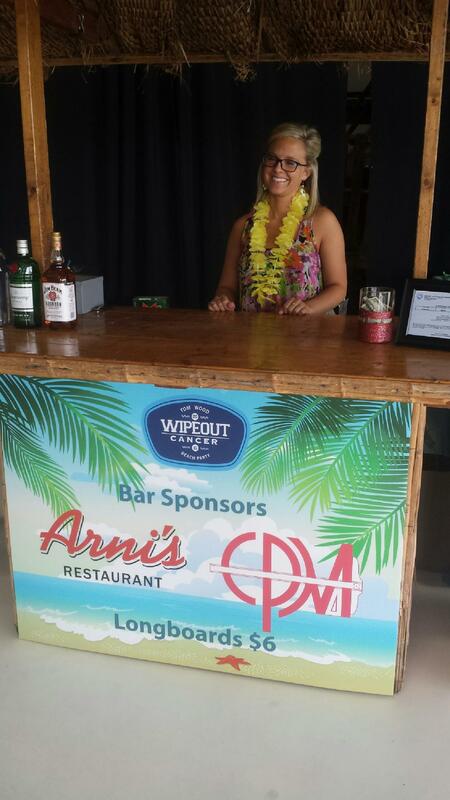 Tom Wood American Cancer Society Beach Party and Golf Outing!